Guys, selfies are hard. How do you all do it and look so darn cute? And how the heck are you supposed to get a full body shot by yourself? Anyway, this was my Friday outfit. It was a bit chillier in San Diego, but that didn’t stop me from rocking shorts. That tank top and necklace are so awesome! 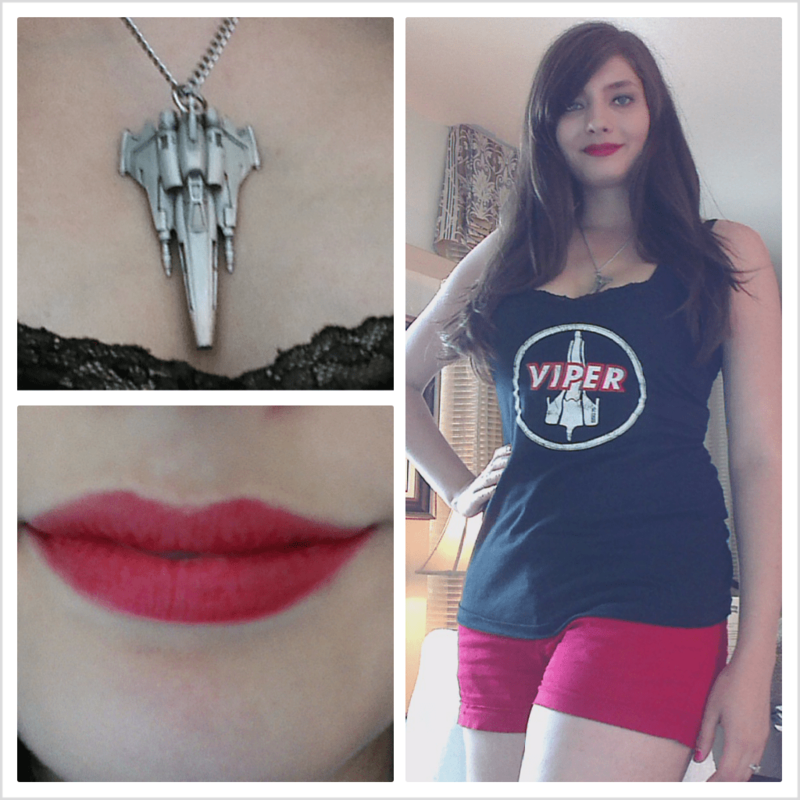 I definitely need to order the tank before Montreal comiccon since so many actors from BSG are going to be there! Nice! if Edward James Olmos is there, try to get a hug from him. He gives the best hugs! He is going to be there! I’ll definitely try if I don’t get too shy.